How Did You Solve That? 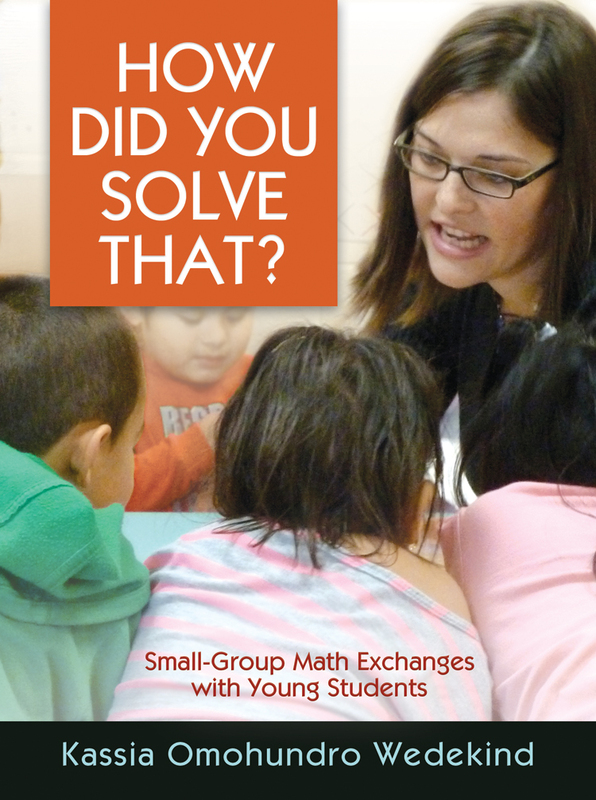 offers a glimpse into two classrooms (seventy minutes of classroom footage) as teachers Kassia Omohundro Wedekind, author of the popular book Math Exchanges, and Rachel Knieling facilitate small-group math meetings with their kindergarten and second-grade students. See what small-group math exchanges look like, sound like, and feel like, and hear from Kassia and Rachel as they plan, teach, and reflect on their math conferences. In a special feature, Kassia answers teachers' most commonly asked questions about guiding young mathematicians in small groups—from how to get started to thinking about future goals for students. Join her in her classroom as she skillfully guides young learners to make sense of problems and persevere until they've found a solution. Kassia Omohundro Wedekind is a math coach at Bailey's Elementary School for the Arts and Sciences right outside of Washington, DC. "I am someone who likes a lot of change in my teaching life," admits Kassia. The road to Bailey's took her to central Virginia, where she taught English for Migrant Education in migrant camps.